Controlled Thermal Resources on Tuesday announced the official launch of the company’s $1.8 billion Hell’s Kitchen lithium-geothermal project near the southeast corner of the Salton Sea. At 275 megawatts, the proposed Hell’s Kitchen project will be the largest geothermal facility in the country. Speaking at the CG/LA North American Infrastructure Leadership Forum here, Rod Colwell, CEO of Controlled Thermal Resources and GRC Member outlined the project to key infrastructure leaders in the United States. “Controlled Thermal Resources has developed an environmentally sustainable solution to produce battery-grade lithium products in a cost-effective, real-time process. 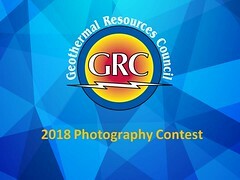 CTR controls significant resources and land holdings within California’s Salton Sea geothermal field where geothermal brines contain large concentrations of lithium, among other valuable minerals. We expect to be in commercial operation, producing an estimated 75,000 [metric tons] of battery-grade lithium carbonate products per annum by 2022.” Colwell said.